Dezignext Technologies provides more than 100+ Audio, BIM, CAD, Design, Graphics, Video, IT, Security and Professional Business Software training courses throughout Mobile, AL. Whether you're looking for customized onsite AutoCAD Electrical training for a private group throughout the Mobile, AL area or an instructor-led online AutoCAD Electrical class, Dezignext Technologies Learning has the solution for you. The AutoCAD Electrical Training Classes with NFPA Standards training course covers the indispensable core topics for working with the AutoCAD Electrical software. In this training course, you will learn how to use many of the powerful electrical drawing creation tools in the AutoCAD Electrical software. 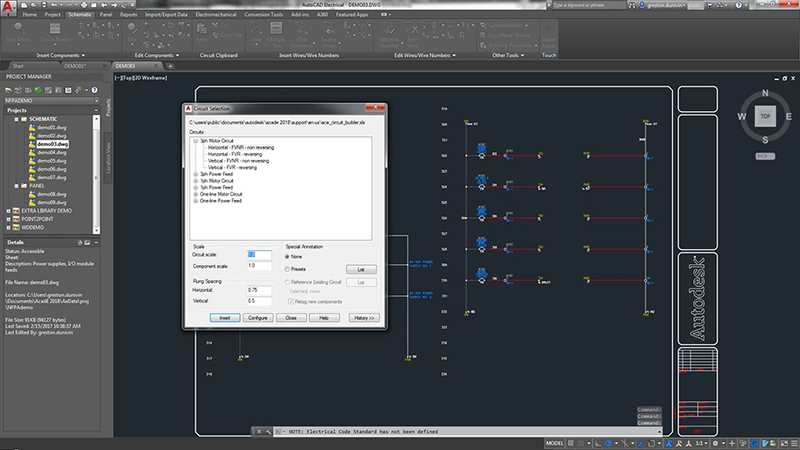 You will create schematic drawings (ladder logic and point to point), panel drawings, and PLC-I/O circuits using automated commands for symbol insertion, component tagging, wire numbering, and drawing modification. In addition, you are introduced to methods of customizing AutoCAD Electrical symbols, circuits, and databases. Other topics covered include titleblock linking, reporting tools, templates, and project files. Dezignext Technologies offers organizations in or around Mobile, AL hands-on-intensive AutoCAD Electrical training and certification courses to empower you with the most recent tools and techniques for accelerating your career. Our certified trainers have years of experience in delivering comprehensive AutoCAD Electrical trainings to help you achieve high-end skills.